Fig. 3, Plate I. 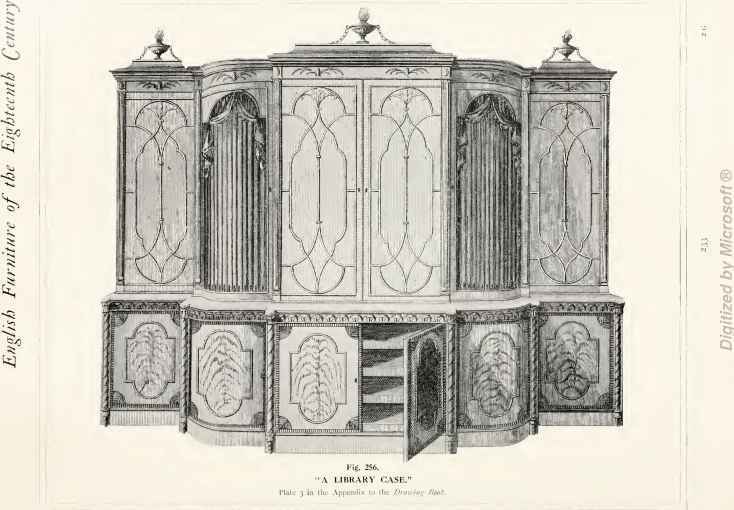 Lower chair, Plate I. 3, „ II. Upper „ „ VI. 3» >» IV. ,, „ „ I. So general did the employment of the "cabriole" form become that it even found its way into the kitchen dresser, as may be seen by reference to illustration on following page. I must point out, however, in reference to such old dressers as these, that, in most cases, the apartments in which they found a place were really the living rooms of the home, and were not for the use of servants only. Then, the housewife was proud to devote personal care to the cleanliness and protection of her plates and dishes, and was naturally desirous that an asylum as tasteful as possible should be provided for their reception.